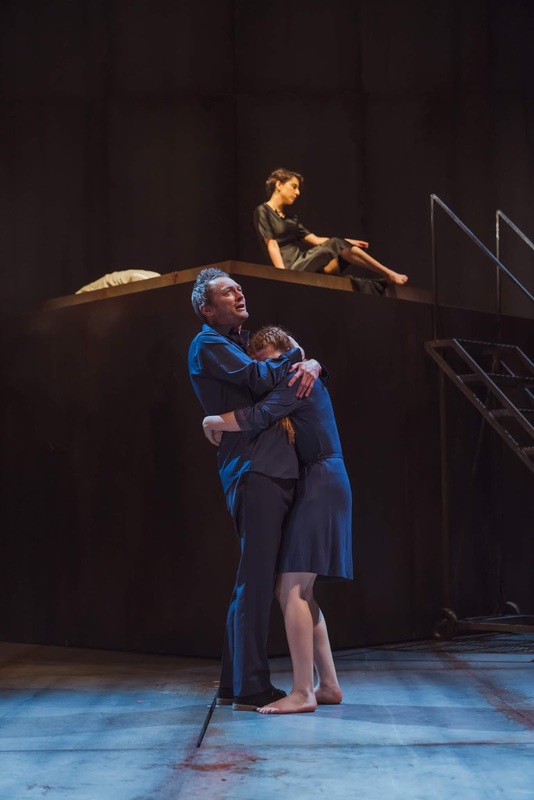 The Royal Shakespeare Company roll into Newcastle with possibly the most famous of William Shakespeare’s plays: Romeo And Juliet. 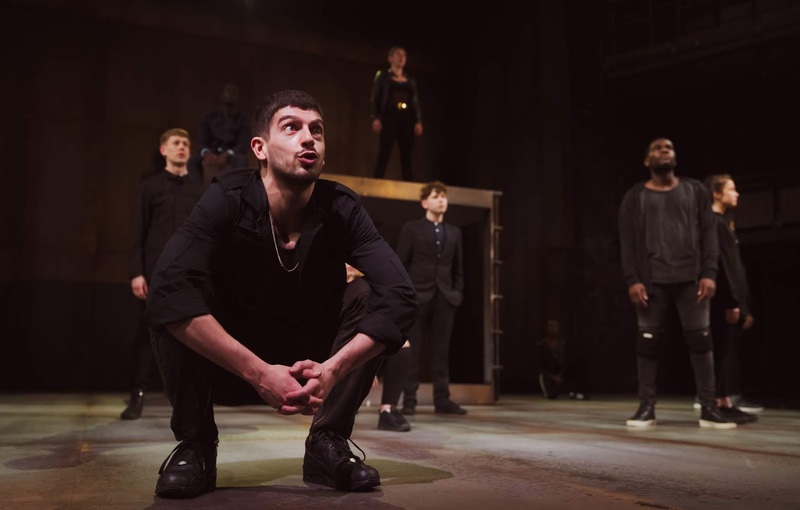 The show represents the return of director Erica Whyman, who was Chief Executive of the city’s Northern Stage between 2005 and 2012. 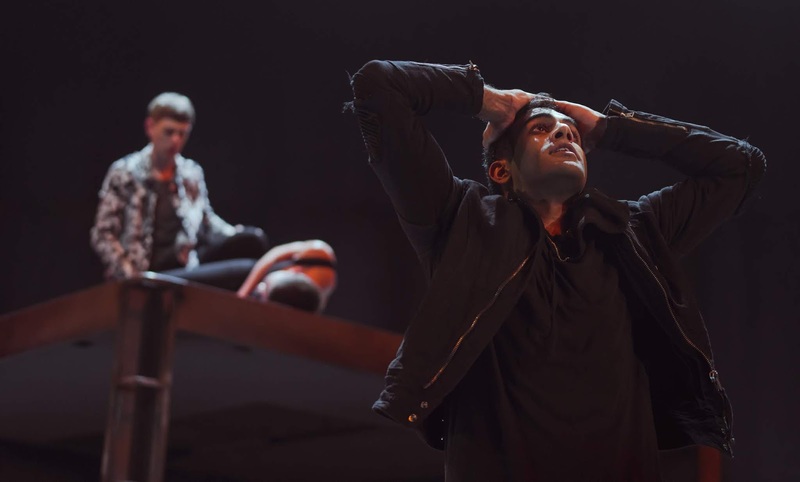 The play has been adapted, modified and morphed into many forms for many different outlets over the years so it makes a pleasant change to see it stripped down to its original form. A chance for the purity of Shakespeare’s words to take centre stage. The tale studies two powerful rival families that just don’t get on. Even their servants fight. Matters then get complicated when Romeo (Bally Gill) attends a ball at the Capulet house and finds himself falling in love with Juliet (Karen Fishwick). Matters get complicated when Friar Laurence (Andrew French) secretly marries the couple whilst further incidents occur between the families. Juliet seeks out a solution but will it succeed? This play is one of the texts that are studied by GCSE English Literature students, hence the venue has the mixture of both Shakespeare fans and teenagers. For some of the teenagers, this may be the first visit to a theatre to see something that is not a pantomime. For the fans of the Shakespeare, this will be an opportunity to compare it to other productions. Both crowds had plenty to be pleased with tonight. The brutalist set design, from Tom Piper, has more in common with the inside of the BBC TV’s Dragon’s Den’s lift than an Italian village. Metal effect plans and a spinning block are supplemented by a set of stairs and a chair. The costumes are modern giving the feel that this is going to be a modern take on the Baird’s work and yet, the show is stripped down. 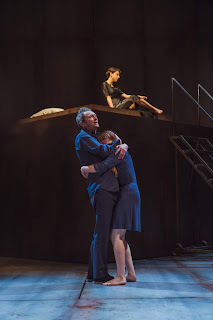 The lack of pretty sets and elegant costumes allow Erica Whyman to put the script and its delivery centre stage. This is a Shakespeare play that has more in common with the source material than first appears to be the case. The result is a rich tapestry of extended exposition with lashings of well planned comedy. 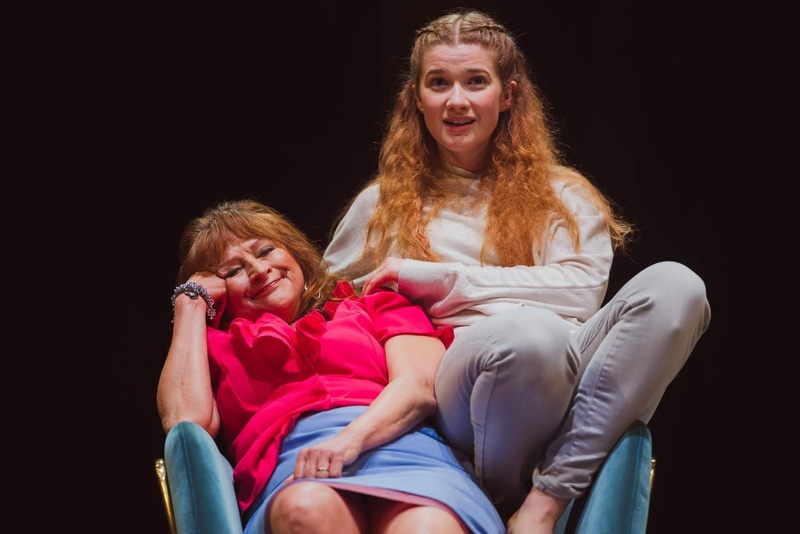 The laughs from the audience felt genuine – I’ve been to productions in which the laughs felt forced or on a need to know basis, rather than a reaction to the actual show in front of us. The tenderness between characters is given the opportunity to flourish. This is a really well directed production. Shakespeare’s plays are often ensemble pieces. By this I mean that the cast all get a moment to shine. The danger of this is that you can expose a weak link or have characters that gain a disproportionate amount of the spotlight. This particular cast do an exceptional job of bringing the show alive. Ishia Bennison is rapturous, as Juliet’s nurse, about her role in raising Juliet. 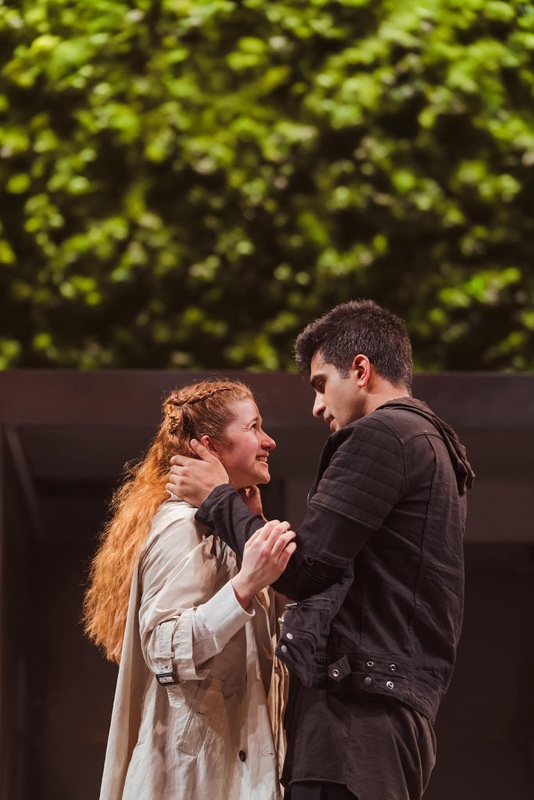 Understudy Nima Taleghani and Charlotte Josephine are mischievous as Juliet’s cousin Tybalt and Romeo’s friend Mercutio. 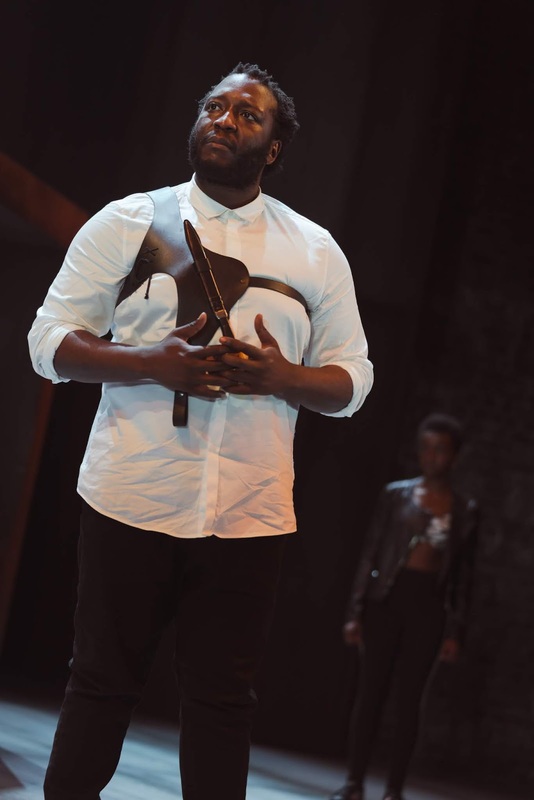 Andrew French is both reflective and cerebral as Friar Laurence. Having said that: the play will stand up or fall down on whether we believe in the relationship between Romeo and Juliet. Fortunately both parts are well cast. We loved Karen Fishwick in the wonderful Our Ladies of the Perpetual Succour. This is a very different role in some ways, but Karen exposes the vulnerability of Juliet’s position wonderfully. Bally Gill’s Romeo energetically chases the love of his life. This production has a youthful feel about the younger roles. The cast is enhanced by the younger members of the ensemble from the Sacred Heart School in Fenham, Newcastle. These young girls did not look out of place on the Theatre Royal stage. There are some quirky aspects of the show that make it distinctive. The lighting design from Charles Balfour that picks out the action but leaves interesting shadows nearby. The natural sound design from Jeremy Dunn that suddenly echoes like a tomb when the need calls for it. Plus we have live performances of contemporary music that lead to some surreal action in the early ball scenes. A production of the GCSE set text will sell well. What is important is that both the young theatre goers are impressed by the live action and the fans of the genre see something different. This show succeeds on both counts. This is a really satisfying interpretation of Shakespeare’s classic. Even Joanne (not Bill’s biggest fan) loved it. RSC’s Romeo and Juliet plays Tuesday 5 – Saturday 9 February 2019. Tickets are from £14.50 and can be purchased from the Theatre Royal Box Office on 08448 11 21 21 (Calls cost 7ppm plus your phone company’s access charge) or book online atwww.theatreroyal.co.uk.